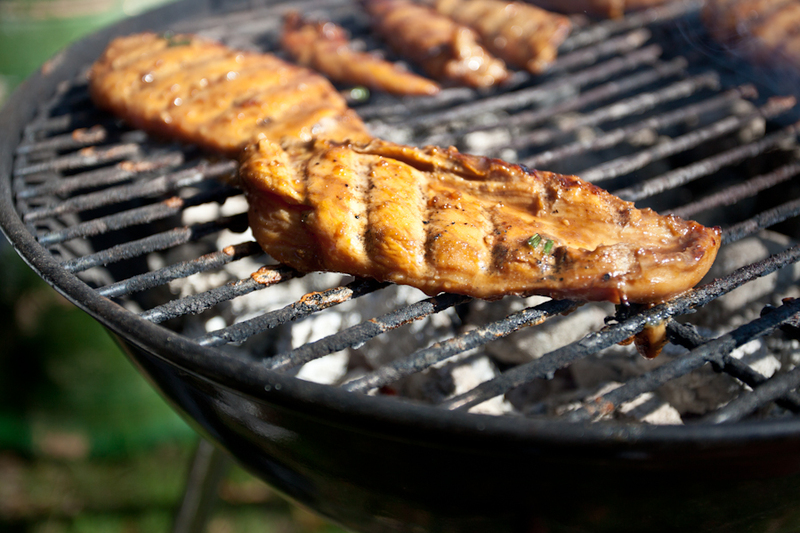 There are few dinners that help you dive into summer more than the BBQ. 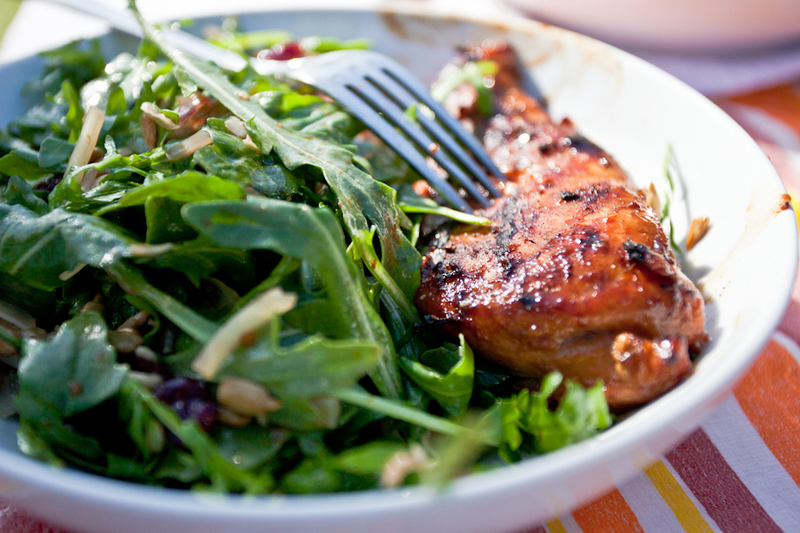 So we did just that, we dove in…we are kicking summer off with grilled chicken salads. Simple and delicious. Neighbors… it is not often that we know the people that we share a wall with or in our case, a courtyard with. What a shame. Relationships waiting to happen. Its never too late, it took Rob and I about 8 months to finally connect with ours but we are so glad we did. With very little effort from each of us, we pulled together this great summer dinner… we hope you will do the same. Mix all the ingredients together (adding more or less of something until it taste delicious). Pour into a bowl or baggie and add meat. 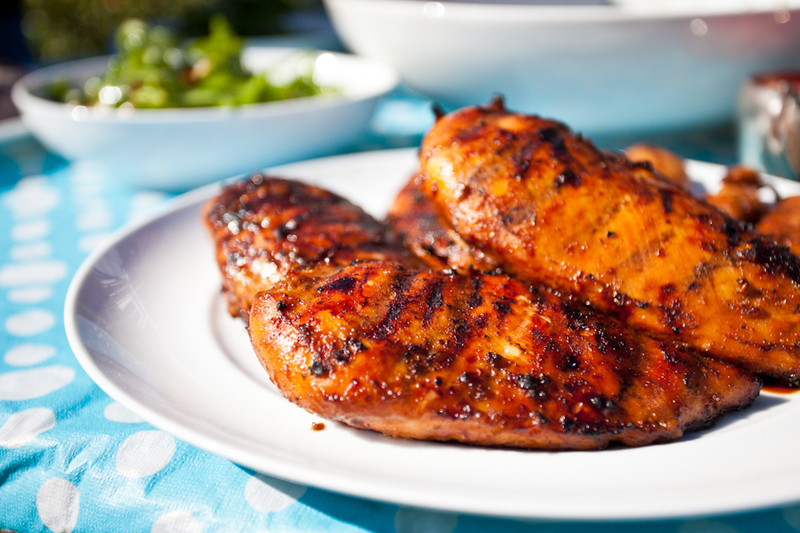 Marinate for at least a half hour or longer.